The details make the difference in any costume. 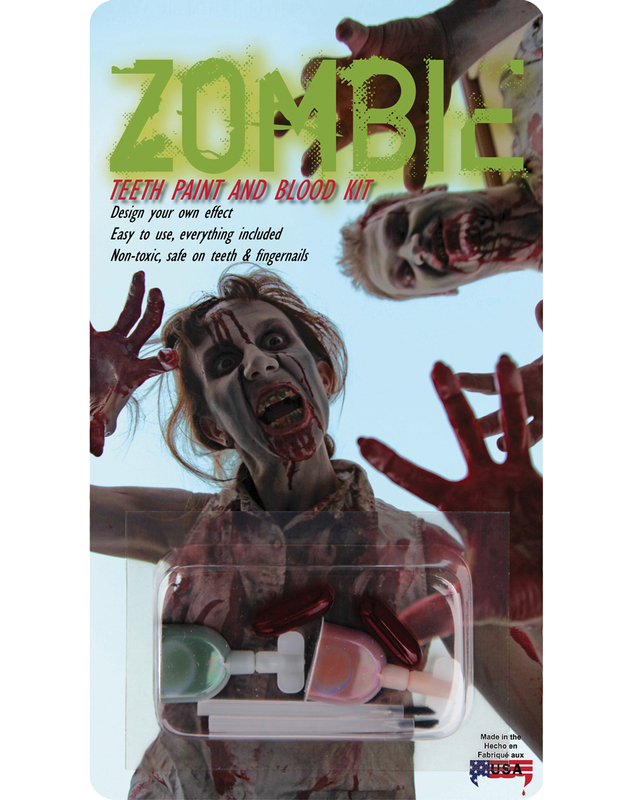 Make yours better with this Zombie teeth paint and blood kit - get the look of having just eaten brains in a most mess and disgusting ay with the moss green tooth paint along with the decayed brown tooth paint and mouth blood. Yuck! Get your very own Zombie Teeth Paint Blood Kit or view more of the Best Zombie Makeup & Kits right now!